(Natural News) An acoustic sensor network that keeps an ear out for endangered elephants is about to get a much-needed upgrade. The system will get an artificial intelligence that can analyze bulky sound files fast enough to find any animal in danger. The Elephant Listening Project (ELP) is installed in the Nouabalé-Ndoki National Park in the Republic of Congo. Its sensors listen for the low and long calls of the African forest elephants living in the wildlife sanctuary. Every three months, the Cornell University (Cornell)-run system produces the equivalent of two million songs worth of data. It takes a long time to sift through all of that information. By the time researchers have found traces of an elephant, it might have fallen sick or gotten killed by poachers. Enter Conservation Metrics. This startup company created an AI tool that can pick up the telltale sound of elephant calls from the noisy background of the rainforest. The AI can reduce the time it takes to process the data by 80 percent. With its help, the researchers can determine the latest change in behaviors of the endangered elephants. 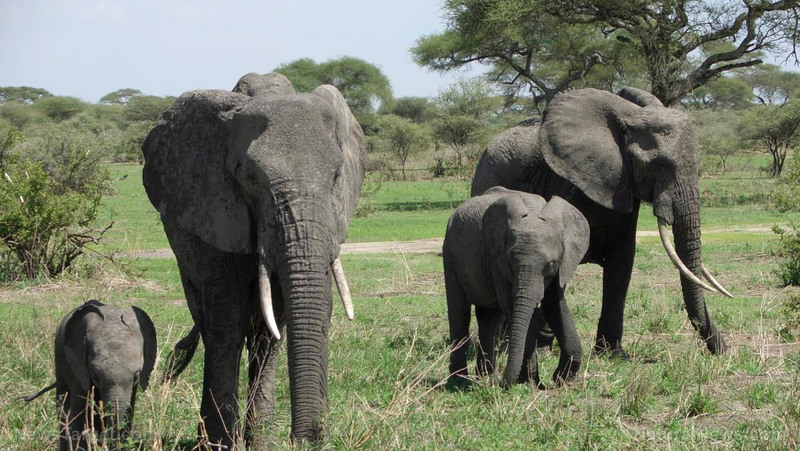 Cornell researchers use the data from ELP to map out the current movement of the elephants. They can warn park rangers about any critical developments that take place. They need all the help they can get. In 2011, central Africa hosted around 100,000 forest elephants. Now, the population is down to 40,000. Unlike the better-known savanna elephant, the forest elephant dwells within the thick rainforests of Africa. Their choice of habitat and far-ranging habits make them very difficult to study. These also make them vulnerable to poaching. The 25,000-strong population of forest elephants in Minkébé National Park in Gabon were wiped out in 2014. Ivory poachers had slaughtered all of the animals, and there were no lions to eat the criminals. An effective monitoring system has to achieve close to real-time speeds. However, the ELP project originally needed as much as two months to merely process the sound data. They would spend another three months manually evaluating the samples to make sure their computers got it right. The Conservation Metrics-developed AI took just 22 days to analyze the data. Company CEO Matthew McKown believes the AI will learn to work faster over time. The AI will also have access to a cloud server that provides additional processing power. McKown’s people are developing new software that will let the cloud server-powered AI finish its analysis in 24 hours. Right now, the ELP sensors store the sound data in memory cards. Park rangers must collect 50 separate cards, make a 500-mile-long journey to the nearest city, and send the data to the U.S. The Cornell researchers and their partners in Conservation Metrics are looking for a way to deploy the AI tools in Nouabalé-Ndoki National Park. In that dream setup, the ELP sensors will directly send its sound data to the U.S.
A text-based updating system will cut down on cost and delay between gathering the data and analyzing it. It could even provide real-time surveillance of the forest elephant population. Can we trust artificial intelligence with the lives of other endangered animals? Find out at Robots.news.